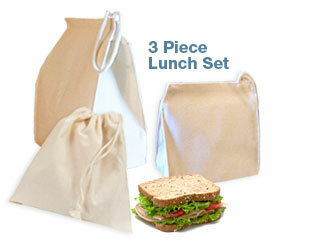 Each lunch set includes our most popular items. 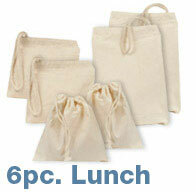 100% washable (line dry) and hygienic with a Velcro® like closure and string handles on the lunch & snack bags. Perfect for decorating & personalizing for children (or adults!). 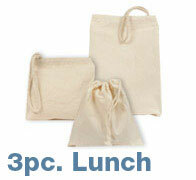 Price below is for a set of 3 bags.